Providing you the best range of 3m 8210 n95 mask, 3m virtua safety goggles, 3m 1110 corded foam noise reduction ear plugs, 3m 9004 in dust mask and 3m safety goggles 1621 for splash with effective & timely delivery. Grinding, sanding, sweeping, bagging, wood working, foundries and other dusty operations.Commercial building, construction food processing, general manufacturing, heavy infrastructure, mining. Weighs less than one ounce. Polycarbonate lens absorbs 99.9% UV. Meets the highest ultraviolet filter rating of ANSI Z87.1-2010 standard (U6). Meets the requirements of CSA Z94.3-2007 and the high impact requirements of ANSI Z87.1-2010. 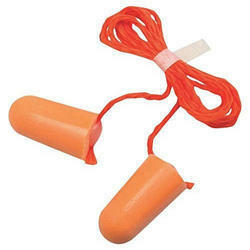 3M™ 1110 corded foam earplugs feature soft, hypoallergenic foam and a tapered design to fit comfortably in the earcanal. Equipped with a comfortable, cloth cord to help prevent earplug loss. Dust Mask is held by elastic and straps over the mouth and nose. They are designed to provide protection against particles of woods, chemicals, silica, dustsetc. At the same time it also provides protection against air borne diseases. It looks almost similar to surgical mask and paint mask. 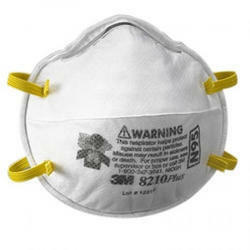 Our dust masks are durable, light weighted and economical in price. 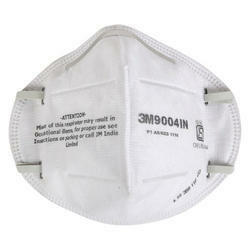 Wrong fittings of the masks will lead to no use and it will bypass all the harmful materials. These high impact safety goggles meet the requirements of the Standard for Occupational and Educational Eye and Face Protection ANSI Z87.1-2003. 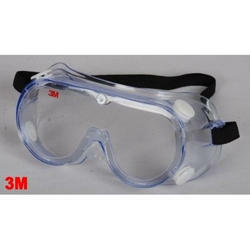 They help reduce exposure to a variety of eye hazards including impact, splash and dust. Features include indirect vents that help protect against splash and a hard-coated polycarbonate lens that reduces UVB and UVA radiation from.